← Wishing you a nice summer holiday! 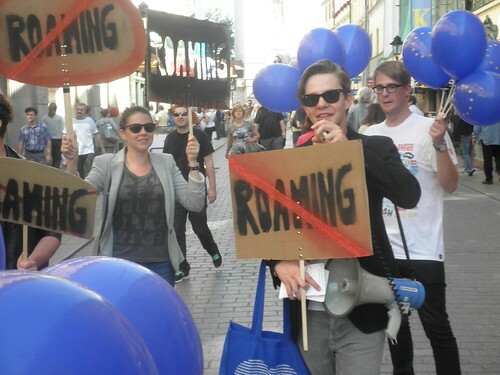 On Sunday, September 11, our Polish partner organisation Union without Borders will organise a demonstration against high roaming charges in the EU. The protest will take place in Krakow on Plac Szczepański at 16:00. For more information, please head over to the Facebook event page over here. Please note that due to the weather, the event was moved from September 8 to September 11. If you are able to participate, please head over to Krakow and support them!